The area between the Design District and Downtown Miami is becoming the most eclectic: joining the Paramount Bay, with interiors by Lenny Kravitz and the busy area of Midtown, with its restaurants and shops and only four blocks from the Wynwood Arts District, the latest project of Related’s Jorge Perez promises brisk sales for its 300 residences. It will be located on 460 NE 28th — yes on the top of the beautiful patch of the Bay you see when driving on the street. The public will be able to access its bay front park by entering below the building, through its collums. The “Icon” brand is one of the most recognized in the real estate market in Miami — and one that foreigner buyers LOVE! 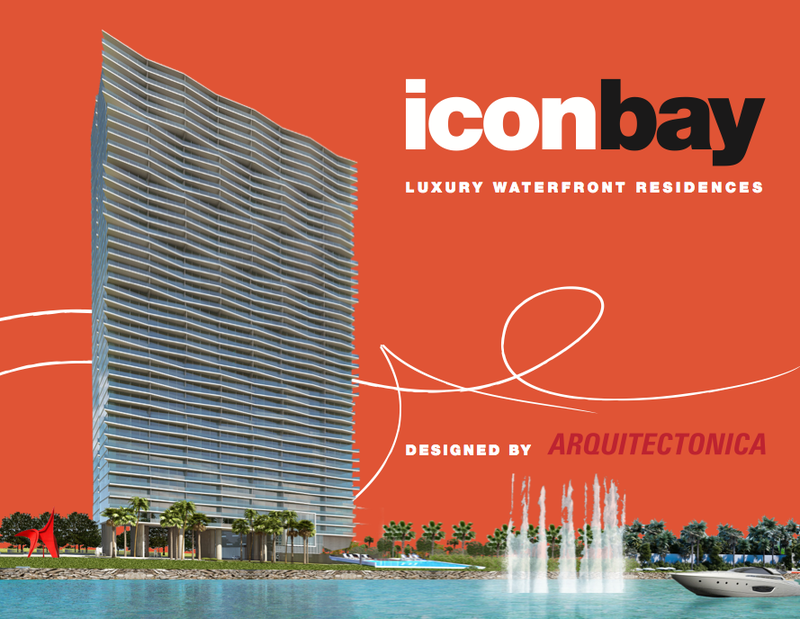 Icon Bay – designed by Arquitectonica – joins the company of the South Beach Icon, Icon Brickell and Icon Vallarta, in Mexico. Units will face Biscayne Bay, with sky, water and Miami Beach in the distance. Apartments will have private elevators, luxury amenities, endless views and will share the modern bay front park. Prices start at US$500,000 for one-bedroom units. The Icon Bay will bring another boost of energy to Edgewater — an area that seems to be destined to luxury. It is the last piece in a puzzle that is now almost done, starting with the skyscrapers of Brickell, traveling through the Biscayne Wall and a revitalized Downtown MIami towards the Design District … and now from Biscayne Bay to Wynwood Arts District. Love or hate, Miami in full real estate boom again!